When one hears the mention of Mount Everest or Annapurna, it immediately conjures up images of the towering snow-capped peaks of the Himalayas, spread across Nepal and Tibet and beyond. The exotic, romantic legends surrounding the Nepalese capital of Kathmandu are legion. Yet, few people know the far-more-human story of Nepal's orphans and the efforts of concerned individuals from far away to care for them and make possible for them a better life. 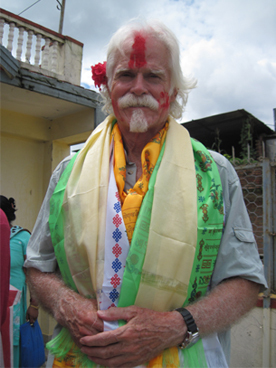 In 2005, a carpenter from Florida, Michael Hess, assumed the management of an orphanage in the city of Dhapasi in Nepal's Kathmandu Valley. With the help of fellow volunteers, Hess renovated the building, began taking care of the children, and eventually expanded the operation to four homes. 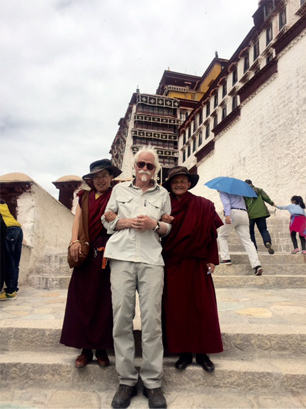 Aramcon annuitant Lou Spencer found out about the NOH organization through an old friend of his, John Lambert, who continues to bring Aramco students to Nepal every year in April. 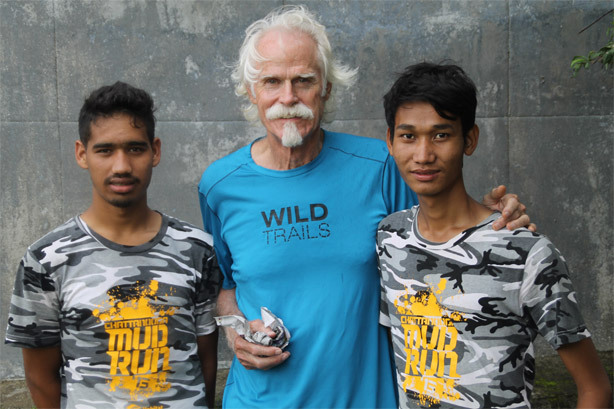 While tutoring some of the children this past July on his second volunteer mission to Nepal, he noticed several of his charges wearing Dhahran Wildcats T-shirts that John had brought during his last trip. Some of the children were also wearing Chattanooga Habitat for Humanity T-shirts that he had previously donated. Lou worked from 10:00 a.m. to 3:00 p.m. every day with NOH's adult education outreach program for women in the community. This program is offered free of charge to all participants. Over 200 women attend classes in basic English, math, and Nepalese. Many of them never had the opportunity to go to school as children. One of Lou's favorite students was a 74-year-old woman whom he helped to teach her to read and write. Once his adult outreach program was finished for the day, Lou continued to teach, this time tutoring children in math and computer technology after school from 4:00 p.m. to 6:00 p.m. Despite having already been in school from 9:00 a.m. to 3:00 p.m., the children were very dedicated and serious, and seemed to him to greatly enjoy this opportunity to attend school. Above all, they showed a high degree of respect and politeness towards their teachers, most of whom were Nepalese. While living at the volunteer house, Lou met volunteers from Spain, France, the Czech Republic, New Zealand, Australia, China, and the U.S. Some of the volunteers were college students, one was a recent nursing school graduate, another in the middle of medical school, and still another, like Lou, retired. 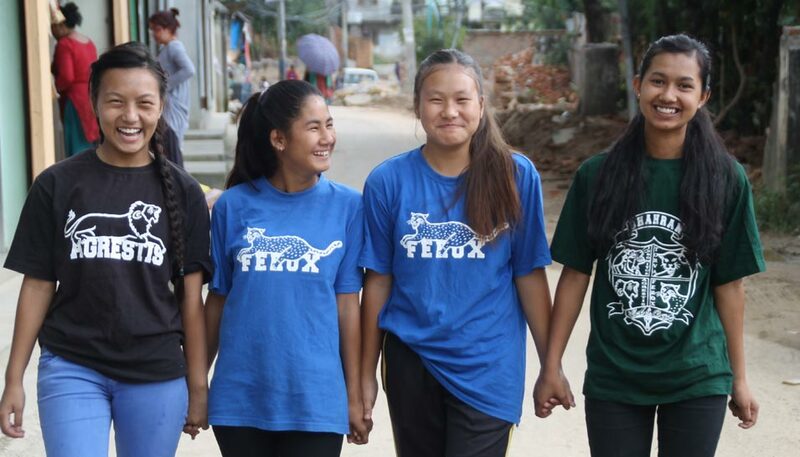 These orphanages are sponsored by neither religious groups nor the Nepalese government at any level. NOH funds its activities through individual donations, income generated by its volunteer program, and occasional grants when fortune comes their way. Presently the NOH orphanages care for 132 children, 102 girls and 30 boys. Nepal Orphans Home has its own school named the Chelsea Education and Community Center which offers free education to local women. Two hundred sixty-five women attend classes there. After school hours, children from the orphanages take comprehensive classes in math and computer science. For general information on NOH, please visit www.nepalorphanshome.org. Recently posted was a list of NOH's outreach programs under the title "An inside look at NOH." For the sake of transparency, NOH posts all its tax statements online with Guidestar. Donations to support NOH are welcome. Donations can be accepted via PayPal. Checks made out to Nepal Orphans Home can sent to the North Carolina address given above. It can also be arranged for funds to be wired directly to Nepal. Please give and Aramco ExPats will give $1.00 for each contribution! Let's hope we get 1,000 people contributing. NOH is a non-profit 501(c)(3) organization. EIN: 20-3545915. All donations are tax deductible to the extent allowed by law. Click Here to Give to NOH. While some of our children's homes were damaged in the devastating earthquakes in Nepal in 2015, fortunately none of our children were physically harmed. In the aftermath, this video was filmed and recorded with the children of Nepal Orphans Home. “Lean on Me,” a poignant and relevant song originally penned and recorded by Bill Withers, provides a backdrop for displaying the talent, beauty and resilience of these amazing young people. We hope you are as moved as we are and will support our continued efforts, not just in providing for an exceptional childhood for our young charges, but also as we support our own community in Kathmandu and other communities greatly in need throughout Nepal. Thank you! "Lean on Me" by Bill Withers used with permission from Songs of Universal, Inc. on behalf of Interior Music Corp.